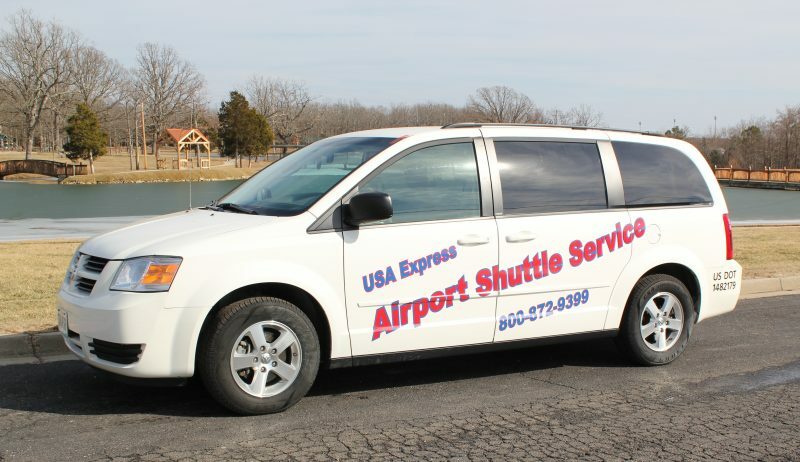 USA EXPRESS offers airport shuttle service to Military and Civilian customers! We also provide transportation for special events and trips! Serving mid-Missouri since 1996, USA Express is DOT, FMCSA compliant and an approved DOD carrier! USA EXPRESS is licensed and safety compliant and will transport you safely to your destination. With late model and full size vans, USA EXPRESS makes sure your transportation is safe and reliable. We offer airport shuttle service and transportation several times daily. Whether its one person or a group, our safe, reliable and courteous drivers will come to your doorstep to pick you up. Do you have a question or want to book a ride? Call us and we'll be happy to answer your questions or book you or your group a ride. All rides are by RESERVATION ONLY. Be sure to contact us as soon as possible by calling us at 1-800-872-9399 or by using our online booking form to schedule your ride. If you use our online booking form a member of our team will contact you to confirm details of your transportation. If you'd like to book a ride online then please use our online booking form. We are available to take your call and assist you with your transporation needs.